In our commitment to help you find products that can help you achieve youthful skin without having to go through surgery, we decided to review the best argireline creams out in the market today. The products that made it to our list have been carefully selected based on formula, concentration and the results they can actually deliver. Containing 8% Argireline, Paloma Skin Therapy Perfect Peptide Skin Firming Cream is our best Argireline cream. It has no paraben, alcohol or fragrance to compromise your skin. 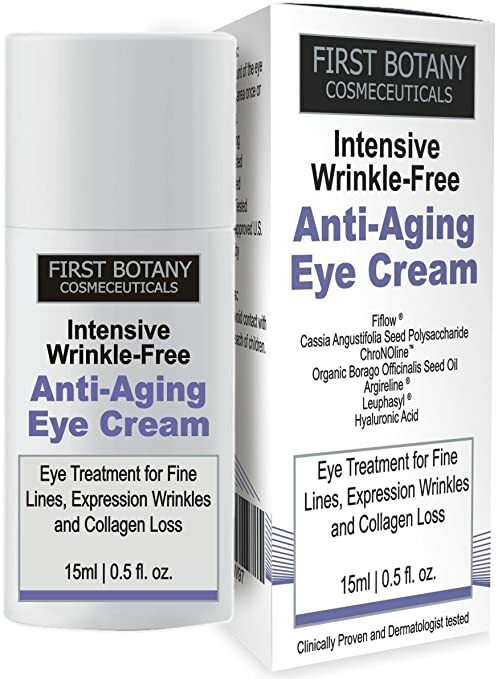 First Botany’s Anti-Aging Eye Cream also comes with borage oil. Together with argireline, the product works really well in keeping the skin moisturized and toned. 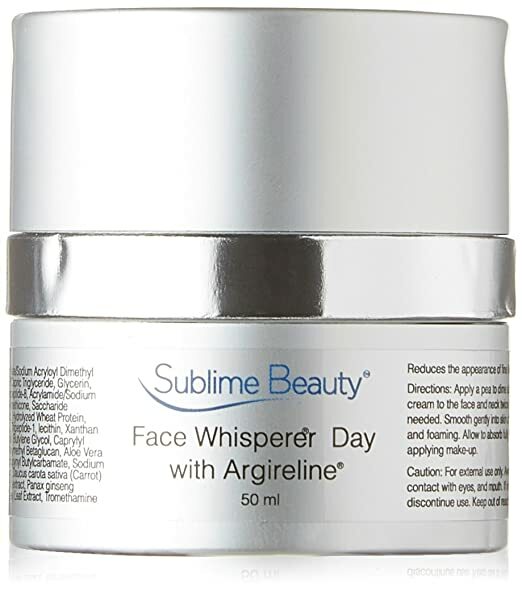 Go with Face Whisperer Day Cream if you want something with a higher argireline concentration. It has a thick consistency that gets absorbed quickly into the skin. Acetyl Organics Premium Anti-aging Serum is a great choice if you want to take a break from creams. It dries quickly so you won’t have to worry about waiting for a long time. Andre Lorent Moisturizer Face Day Cream contains ingredients your skin will love. It has vitamins, matrixyl and hyaluronic acid. For the best arigireline cream, check out our in-depth review below. This product has 8% Argireline concentration by volume. Aside from this ingredient, it also has glycerin and coconut oil extract. We particularly like the packaging of this cream as it comes in an airless pump. It doesn’t only make dispensing easier, but also decreases the chances of contamination. In case you experience difficulty using the pump for the first time, we suggest tapping its bottom first. This frequently happens when the pumps get tossed and turned during shipment. The cream is paraben and alcohol-free. It also has no fragrance, which users really like.Another thing they like about the product is how it can moisturize without making the skin feel greasy and sticky. There’s also a bit of a stingy feeling after application which users relate to the product’s tightening effect. This product boasts 5% Argireline. It also has 5% of Leuphasyl, a pentapeptide that addresses wrinkles as well. Aside from these ingredients, First Botany’s Anti-Aging Eye Cream includes Borage Oil, too. This substance is highly effective in restoring the intracellular moisture of the skin, particularly those that are chronically exposed to environmental factors. The product is light on the skin and easy to apply. It helps boost collagen formation to nourish and tone the skin. It has a creamy texture but not sticky in consistency. It also doesn’t have a strong scent. Most reviewers expressed concern with how small the product’s bottle was. However, because it is an eye cream, you’ll only need a very little amount to cover the entire area. Face Whisperer Day Cream has a higher concentration of Argireline at 10%. It also contains natural ingredients, such as Aloe, ginseng, and cucumber, to add nourishment to the skin. The product has no parabens and fragrance. Once applied to the skin, you’ll feel a cooling effect. Its texture is thick and creamy but it gets absorbed quickly into the skin. Although it's an effective moisturizer, it won’t make you feel oily and greasy. While most users were able to see visible results right away, there are some people who experienced breaking out from using the cream. Acetyl Organics Premium Anti-aging Serum with Argireline contains 20% argireline. Apart from that, you can also find matrixyl 3000 and vitamin A in its list of ingredients. The combination of these ingredients make the product really effective. In fact, it claims to be able to minimize fine lines and wrinkles in just 21 days. Technically, this one isn’t really a cream. It’s a serum that comes with the goodness of argireline cream.It’s a nice option if you don’t like applying thick creams on your face. The product comes in this amber bottle with a dropper. Its opaque packaging is really nice in keeping the ingredients inside protected against light and air. What’s even nicer about this one is that it doesn’t have parabens. Plus, it’s manufactured in an FDA-registered lab for your safety. As for consistency, this feels thick and luscious. Despite that, the product doesn’t take a lot of time to sink into your skin. You can apply your moisturizer or makeup afterwards. Andre Lorent Moisturizer Face Day Cream has an interesting list of ingredients. It doesn’t just have argireline, but it also has matrixyl, hyaluronic acid and vitamins C and E.
It contains no petrochemical derivatives, SLS or parabens.The product feels really light on the skin. It doesn’t feel oily or greasy. To get the most out of the cream, you should apply it twice a day. You should rub it into your skin until it gets fully absorbed. Keep that in mind or else, you’ll end up with a sticky feel and chalky-looking result. The product is supposed to be a 3-minute beauty regime. A little goes a long way, so one jar can last you quite awhile. This gives it more value for its price. Argireline has the same property as Botox. However, unlike Botox which is injected, Argireline is applied topically on the skin. It is a derivative of Acetyl hexapeptide-3, a neuropeptide that blocks the communication between your facial nerves and muscles. 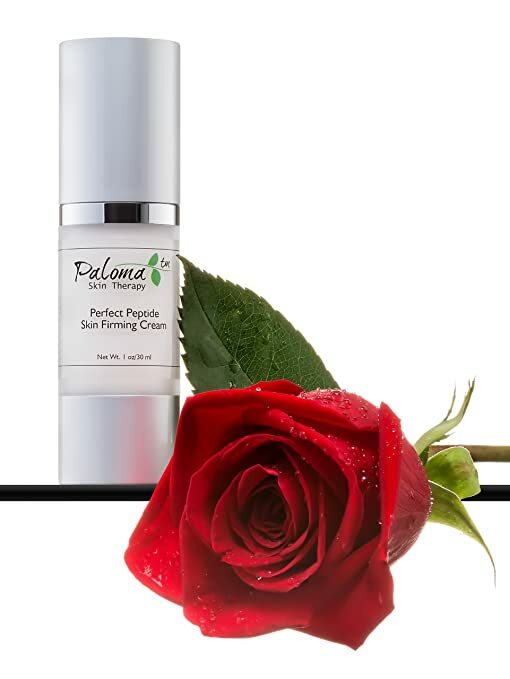 It addresses wrinkles and fine lines by limiting the contractions on your face. Because it’s a muscle relaxant, skin damage brought by excessive sun exposure might not respond well to this ingredient. People with thick skin may also not see results as visible as those with thinner skin. One good reason to this is its mode of application. Because it is topical, it can only reach the superficial layers of the skin. In terms of its general effectivity, a study released by the International Journal of Cosmetic Science showed that women who used Argireline cream for 30 days experienced a reduction of 30% on the depth of their wrinkles. To reap the benefits of topical Argireline, it’s recommended that serums and creams should be applied twice a day. Argireline is applied on the skin while Botox needs to be injected. Because Botox is injected, it has a deeper effect. Argireline can only reach superficial layers of the skin. Argireline is weaker than Botox. Argireline alsohas a hydrating effect on the skin. What makes a good Argireline cream? The highest concentration of Argireline in products is 20%. Choose creams with 10% or higher Argireline content. It should be easily absorbed. It must be convenient to apply. It should be combined with an effective antioxidant. Because of how in demand skin aging products are, it’s not surprising to find tons of cosmetic companies willing to add Argireline and its benefits to their list of ingredients. In case you find the choices confusing, we did the in-depth research to come up with the 3 best Argireline creams for you. Argireline is a convenient choice when it comes to addressing wrinkles because it’s more affordable than Botox and comes with virtually no pain. Adding it to your beauty arsenal can decrease the puffiness, redness and fine lines around your face and neck. Among these Argireline products, we are recommending Paloma Skin Therapy Perfect Peptide Skin Firming Cream as the best Argireline cream. The product has no parabens and SLS. It doesn’t even come with the stickiness you can find in most creams. can you advice me about the arigline creme wich one is the best?